Alexander Calder is surely the most beloved artist of the twentieth century - as well as a major figure in the history of modern sculpture. Calder invented the mobile and the stabile; he was endlessly creative at making drawings, jewellery, toys, and household objects; and, he even made a miniature circus that is treasured by children of all ages. Calder has been appreciated as much for his witty and playful personality as for his artistic genius.Now aspects of both the man and the artist are captured in a beautifully produced book, created to be especially accessible for young readers. 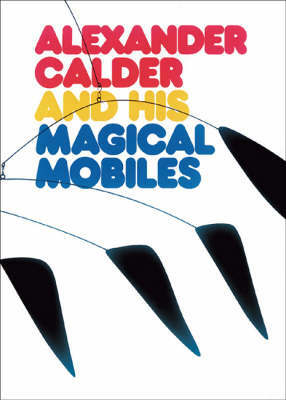 "Alexander Calder and His Magical Mobiles" with its delightful text tells the story of Calder's life and career, and relates - often in the artist's own words - his working methods and his own feelings about his art. The publication also presents a treasury of favourite works by Calder, as well as fascinating photographs of the artist at work. There is also a sequence of photographs that can be flipped to show a mobile in motion.